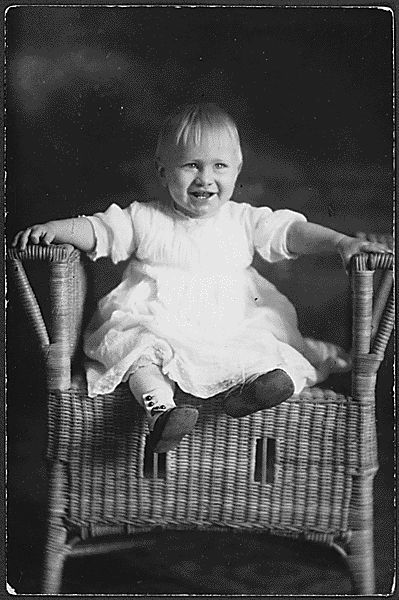 Gerald R. Ford was born Leslie Lynch King, Jr. on July 14, 1913. 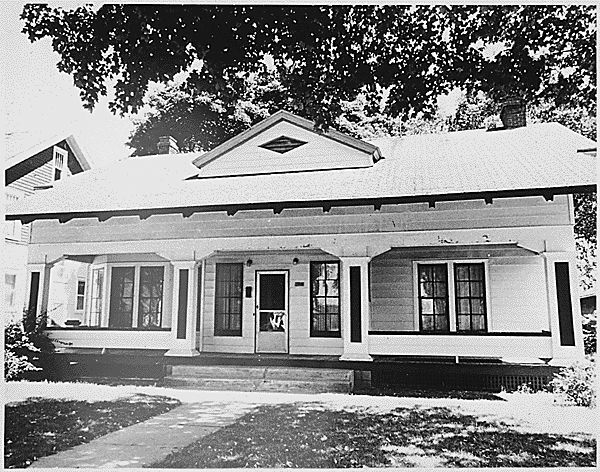 He lived with his parents and his paternal grandparents in Omaha, Nebraska. Ford's parents were Dorothy Ayer Gardner, and Leslie Lynch King. Dorothy separated from King just sixteen days after her son's birth. King was apparently a violent man who first beat his wife on their honeymoon for smiling at another man. 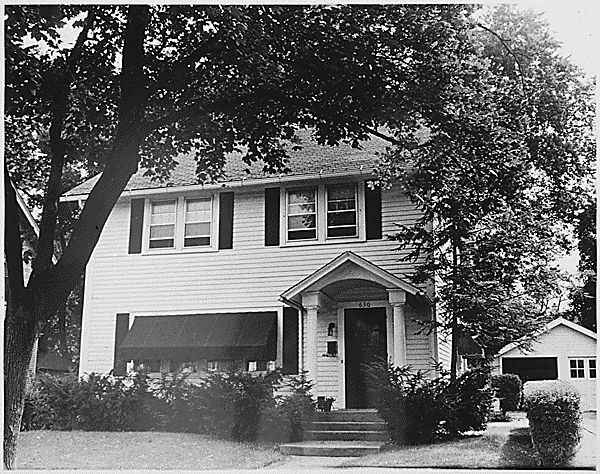 When he threatened Dorothy, their son, and a nursemaid with a butcher knife, Dorothy took her son and went to stay with a sister in Oak Park Illinois. 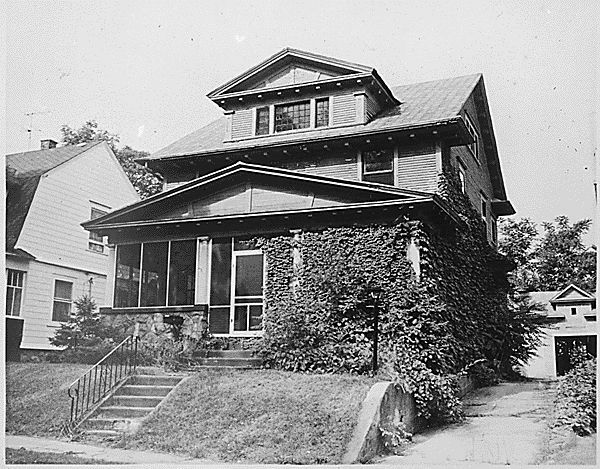 From there she moved to the home of her parents in Grand Rapids, Michigan. Dorothy's divorce was final in December 1913, and she retained full custody of her son. Ford's paternal grandfather paid child support until shortly before his death in 1930. 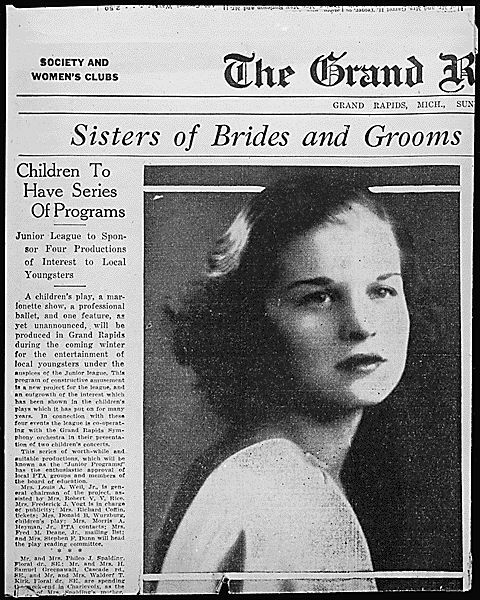 Dorothy lived with her parents for two and a half years before marrying Gerald Rudolff Ford, a salesman in a family owned paint and varnish company. 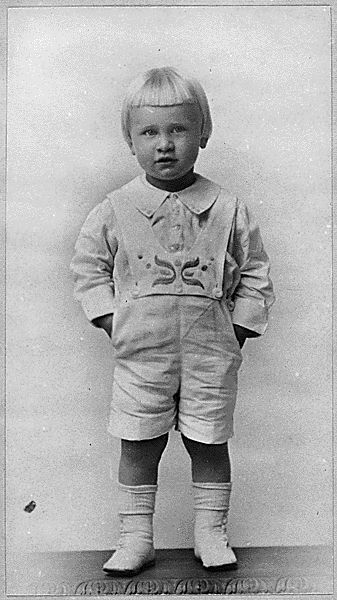 They called Dorothy's son Gerald Rudolff Ford, Jr., although Ford never formally adopted Dorothy's child, and the future president did not legally change his name until December 3, 1935, at the age of 22. 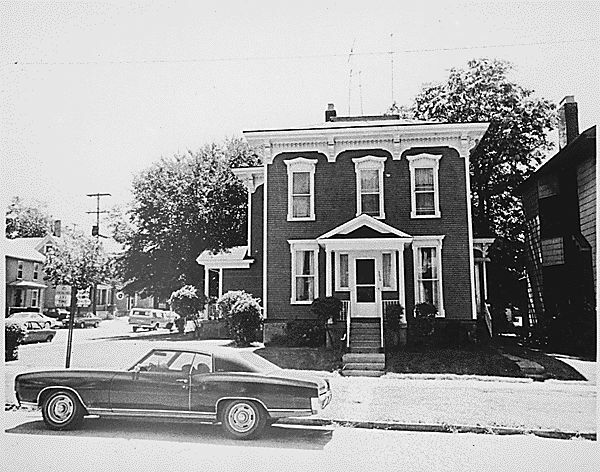 Ford was raised in Grand Rapids with his three half-brothers by his mother's second marriage. Ford describes his childhood with his mother and stepfather in positive terms, and although his biological father did approach him when Ford was 17, they maintained only sporadic contact until King's death. 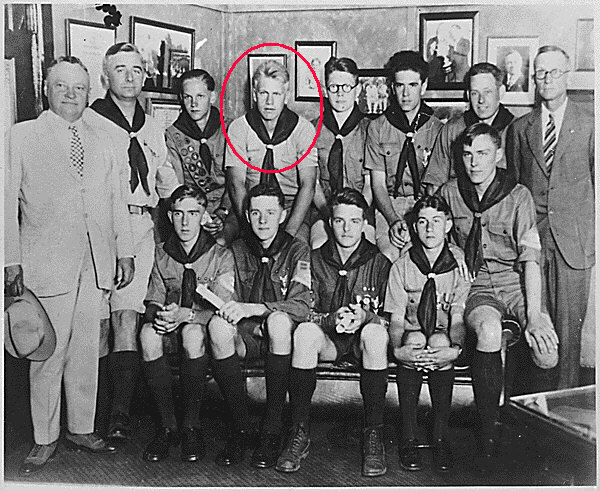 Ford was involved in the Boy Scouts of America, and he is the only U.S. president who was an Eagle Scout. Scouting was so important to Ford that 400 Eagle Scouts were part of the funeral procession in front of the museum which bears his name in Grand Rapids, and a few scouts served as ushers at the ceremony inside the National Cathedral. Ford attended South High School where he excelled in athletics and was the captain of his football team. In 1930 he was selected to the All-City team of the Grand Rapids City League. 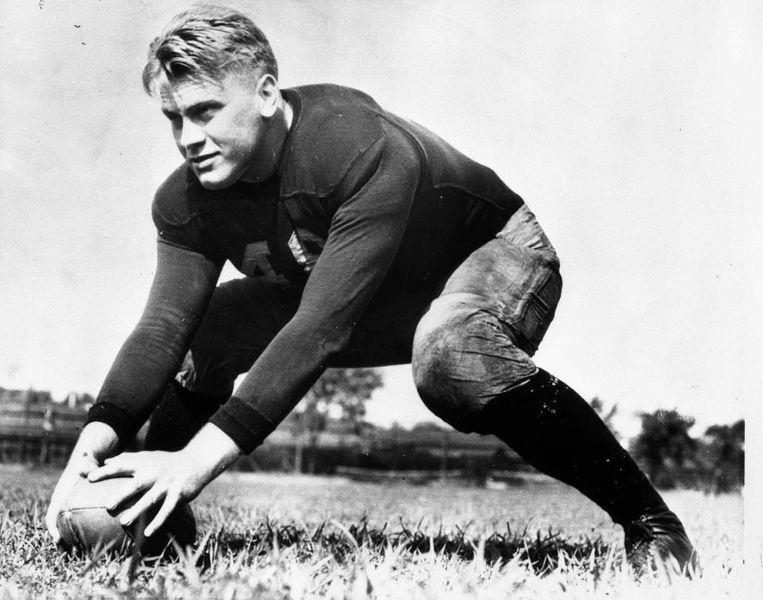 Ford completed undergraduate studies at the University of Michigan, where he was a star player, helping the team to undefeated seasons and national titles in 1932 and 1933. Ford's later reputation as a clumsy man, cemented into the minds of a generation of Americans by the pioneering work of comedian Chevy Chase on NBC's Saturday Night Live is especially ironic when one considers the president's standout athletic background. Ford washed dishes to help pay his way through college. He turned down National Football League offers from the Detroit Lions and Green Bay Packers to attend Yale law school, but he remained active in sports as a coach in boxing, varsity football, and JV cheerleading. He earned his law degree in 1941, graduating in the top 25 percent of his class. Ford, having grown up in conservative Grand Rapids, had his first foray into politics in 1940 when he worked on Wendell Willkie's doomed bid to stop Franklin D. Roosevelt from a third term in 1940. 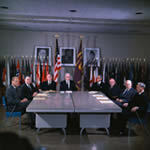 Ford was also a supporter of the 1939 Neutrality Act, designed to keep the United States out of another European War. 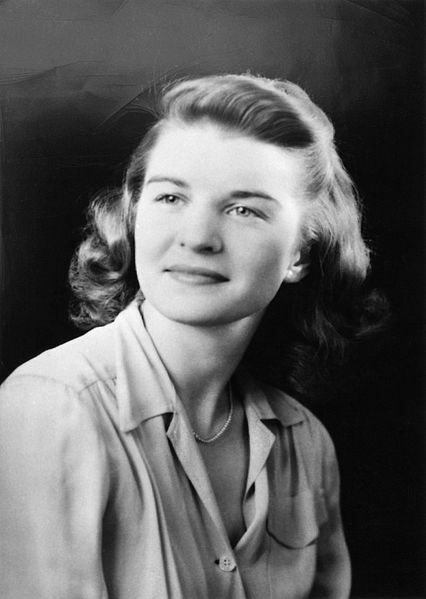 Ford was admitted to the Michigan bar shortly after graduating and in May 1941, opened a law practice in Grand Rapids with a friend, Philip Buchen, who would later serve as Ford's White House counsel. Like many of his generation, however, Ford's found himself joining the Navy after the attack on Pearl Harbor that December. On April 13, 1942, Ford was commissioned as ensign in the U.S. Naval Reserve. He reported for active duty first to a school at Annapolis, Maryland, and he then spent a year in Navy Preflight School at Chapel Hill, North Carolina. 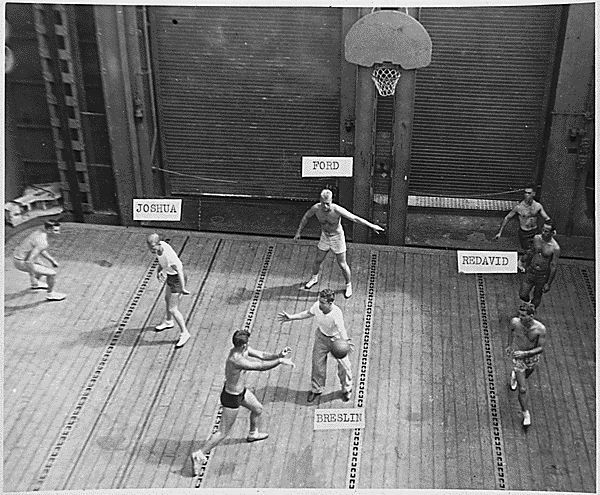 While there, Ford coached all nine of the sports that were offered. By the end of the training, Ford had been promoted to Lieutenant. damaged by fire, but was saved when Ford led a fire brigade to extinguish the blaze. The ship was damaged enough that it had to return to the West Coast for repairs. Stateside, Ford was detached from the ship. He served the rest of the war as a member of the Athletic Department at Navy Pre-Flight School at Saint Mary's College of California, where he again coached football. 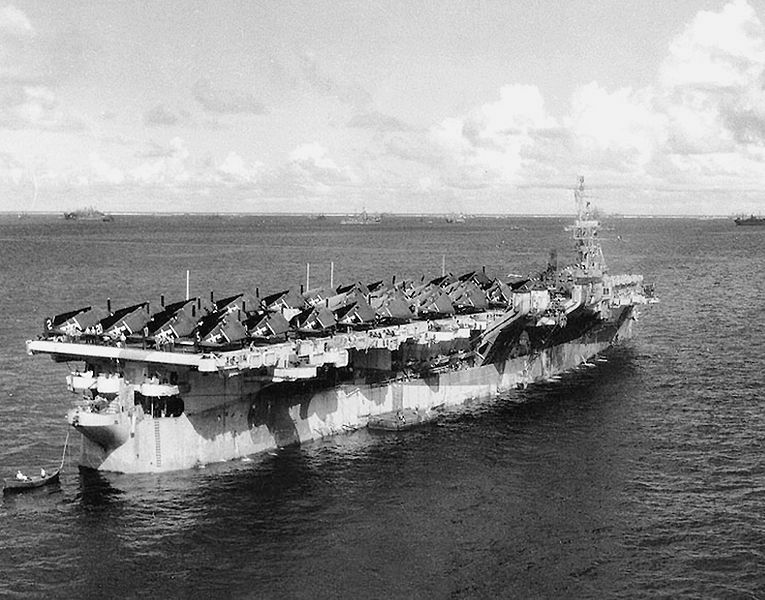 He was mustered out of the service in January 1946. 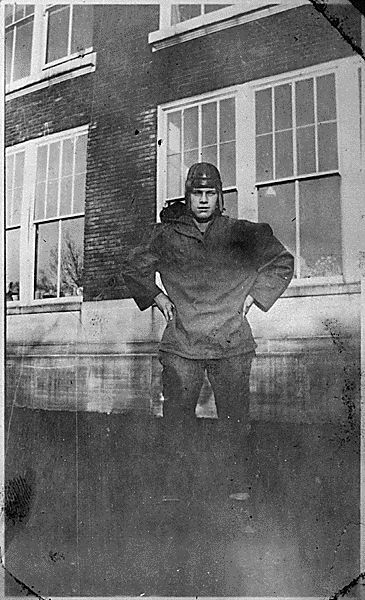 Ford returned to Grand Rapids following his war service. 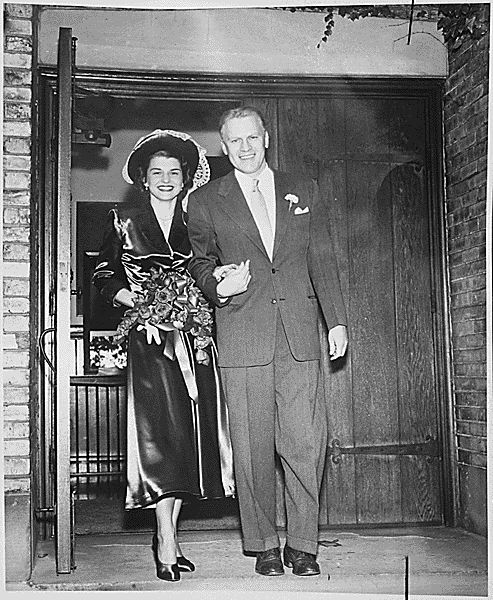 On October 15, 1948, Ford married Elizabeth "Betty" Bloomer Warren, a department store fashion consultant, former dancer, and divorcee. 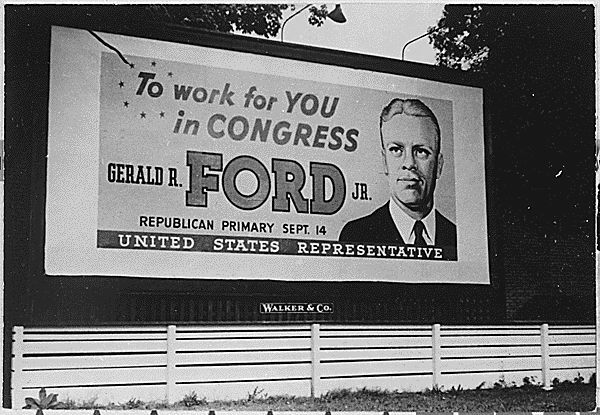 At the time, Ford was running for Congress. He delayed the wedding until just before the election, not sure how the constituents would react to Betty's past. The couple was married for 58 years and had 4 children. assigned to prepare a biography of the alleged assassin, Lee Harvey Oswald. Ford supported the single assassin, single bullet theory. enough for a Republican majority. The Democratic majority, however, was small enough for Ford to be able to block any further advancement of the Great Society. 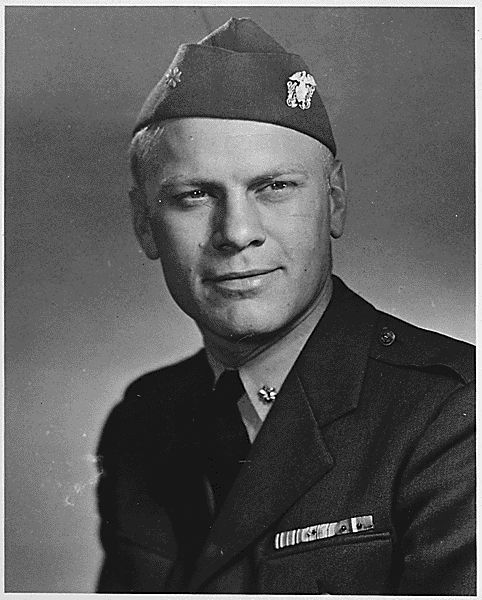 Ford's public criticism of Johnson's handling of Vietnam prompted several of the President's most blunt criticisms of the Michigander, including that Ford had played "too much football without a helmet," and the claim that "Jerry Ford is so dumb he can't fart and chew gum at the same time." Following Nixon's 1968 presidential win, Ford was an ally of the White House, but still Minority Leader. 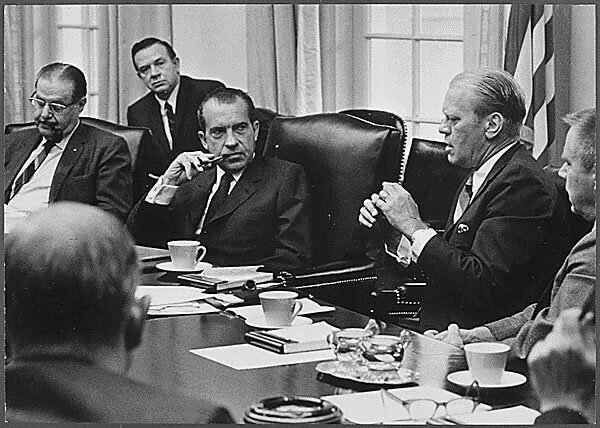 During Nixon's first term, Ford was active on environmental policy, tax reform, and in the creation of a revenue sharing program for state and local governments. Ford's tenure in the House earned him praise from both parties. He was seen as a fair leader, with an inoffensive personality. 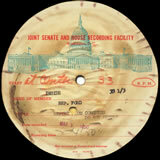 Today, one of the office buildings in the U.S. Capitol Complex, House Annex 2, is named the Ford House Office Building. wherein he had accepted $100,000 in bribes while governor of Maryland. According to The New York Times, "Nixon sought advice from senior Congressional leaders about a replacement, and the only person they even considered was Gerald Ford. 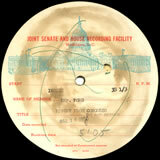 Nixon nominated Ford, and the U.S. Senate approved the nomination 92-3. The House confirmed by a vote of 397-35. 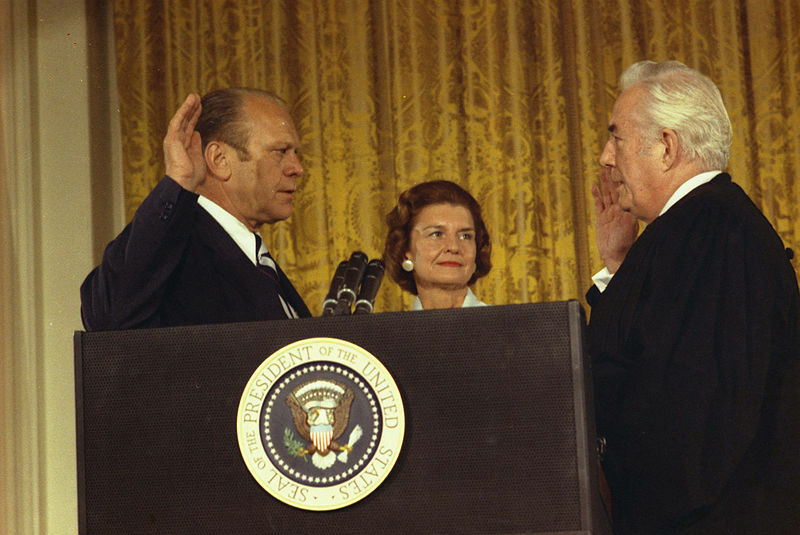 On December 6, 1973, Ford took the oath of office as Vice President of the United States. Ford's tenure as VP garnered little media coverage. By the end of 1973, the press was very preoccupied with the ongoing investigation into what would become known as the Watergate Scandal. 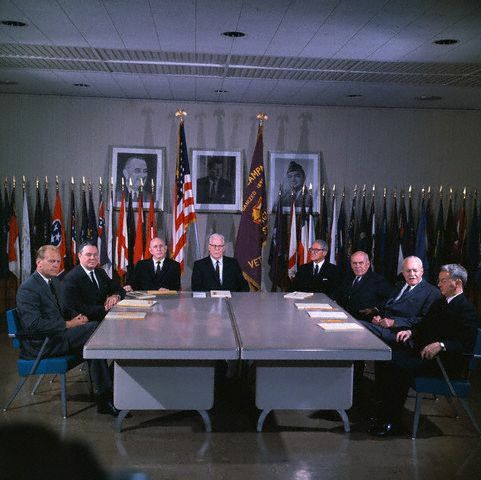 On August 9, 1974, President Richard Nixon resigned the presidency, and Ford assumed the office. He is the first person to assume both the vice presidency and the presidency without having been voted into either office.